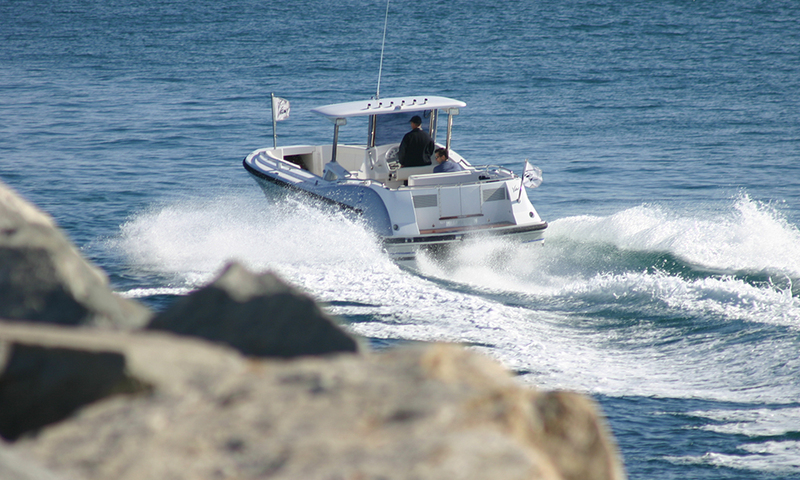 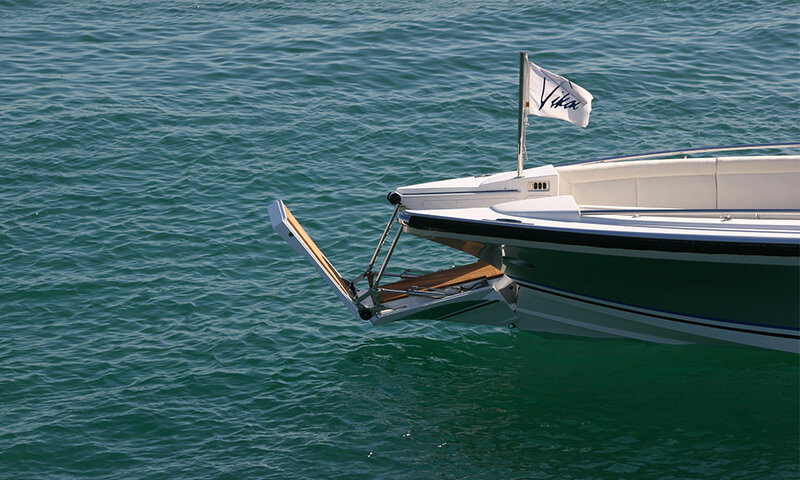 This 10m Diving and Fishing Tender in one of a pigeon pair (the other is a 10m Limo) of Vikal Tenders delivered to a 90 + metre yacht. 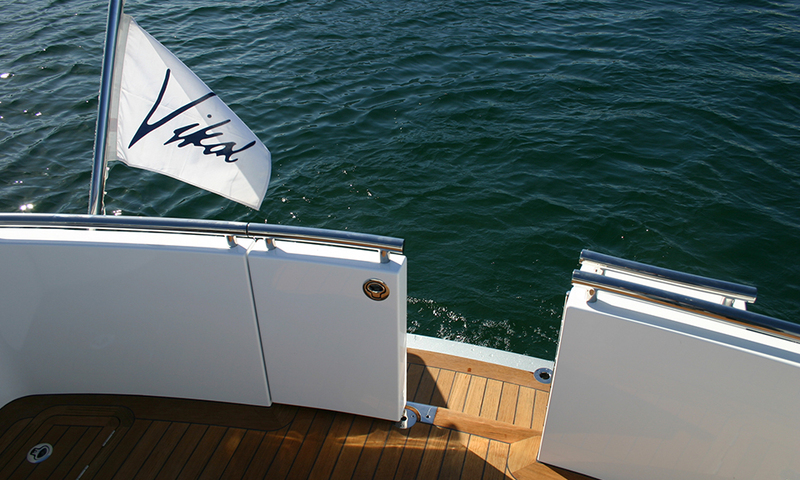 As is often the case with contracts awarded to Vikal, it was designed to fill many roles as on board yacht real estate is expensive. 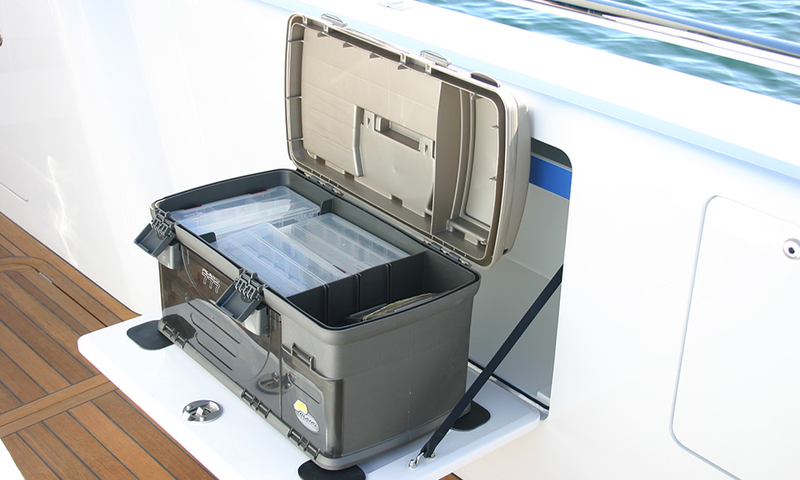 A well designed and built multiplex tender can save more money on the garage and cranes than is represented in its own purchase price. 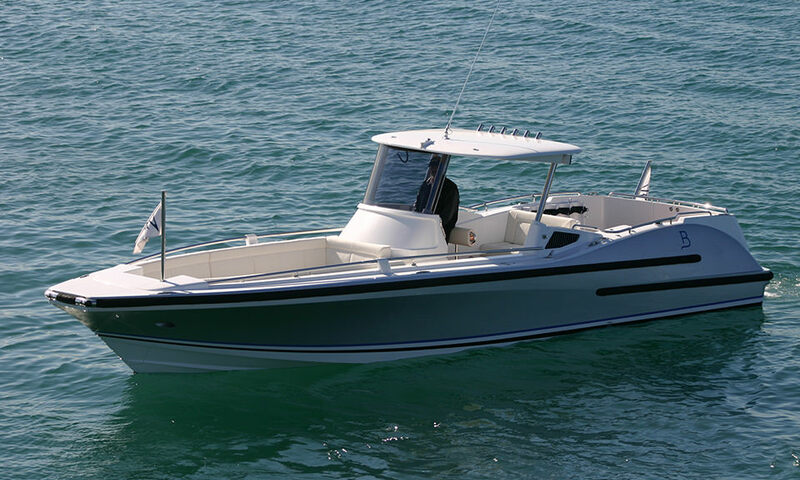 This tender was equipped with outriggers, multiple rod holders, comprehensive fish tackle equipment (stowed out of sight), a live bait tank, ice box and a refrigerator ~ nothing has been left to chance. 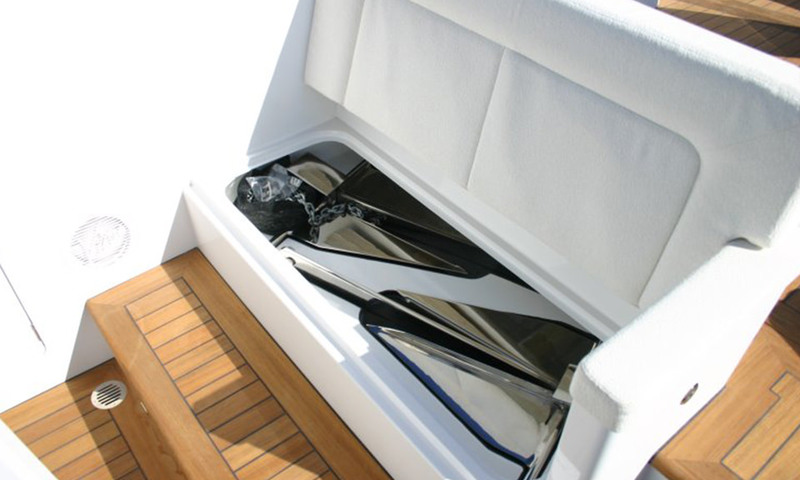 With a bi-fold hydraulic bow door installed, some of the uses this tender will be put to are taking guests ship to shore and beach landings. 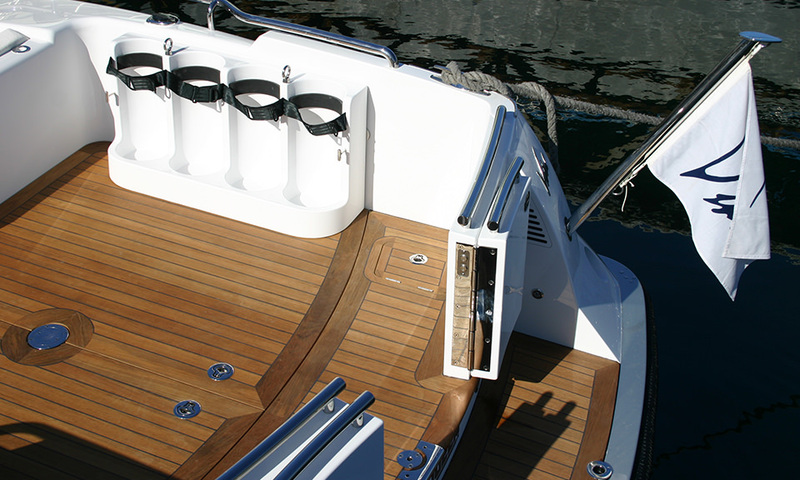 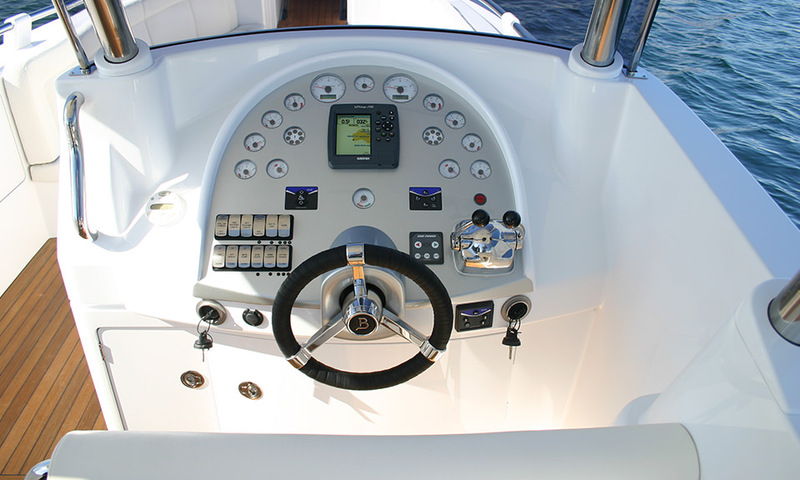 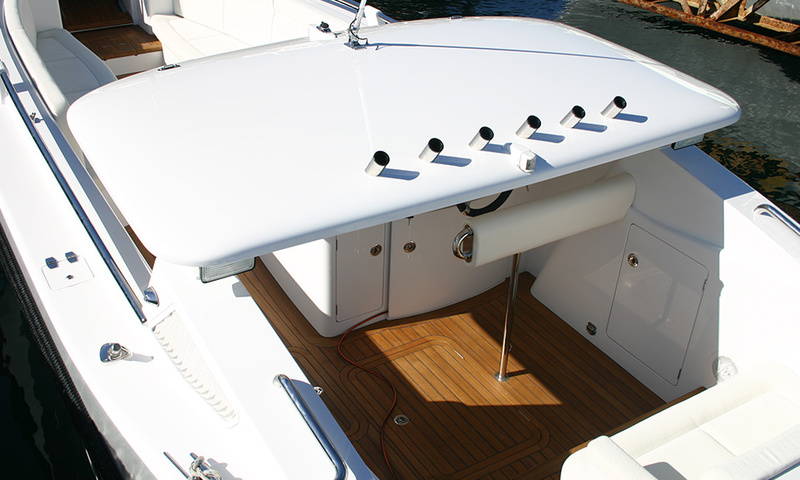 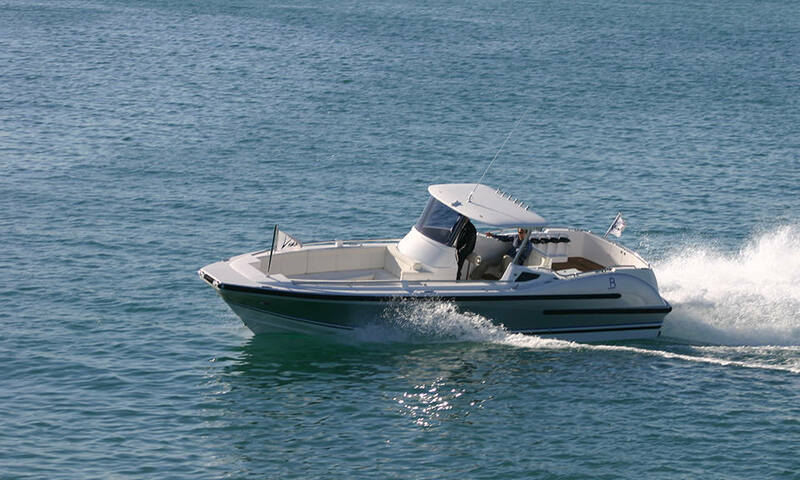 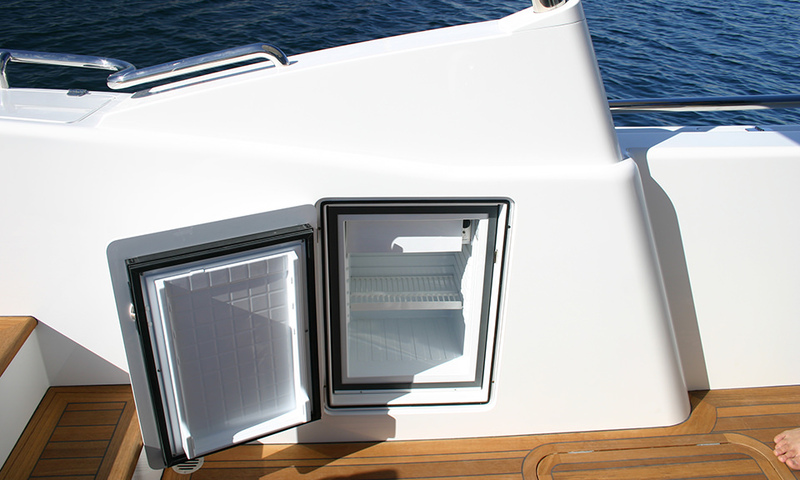 The retractable roof allows it to be stowed in a low ceiling garage and its inbuilt SS hydraulically operated docking legs accommodate stowage on board the yacht without the use of cradles.